A graveyard that celebrates death and more to the point, how they died and why. 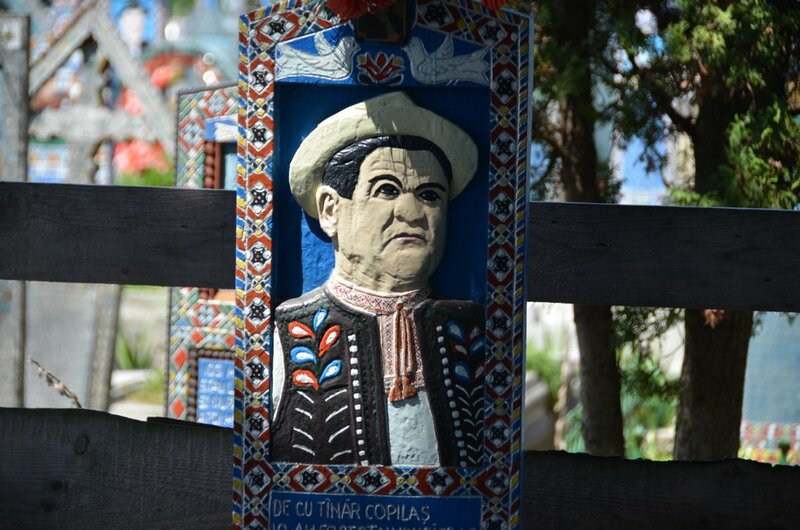 Sapanta is 17km from Sighet and home to the Merry Cemetery – an open-air museum and national tourist attraction. 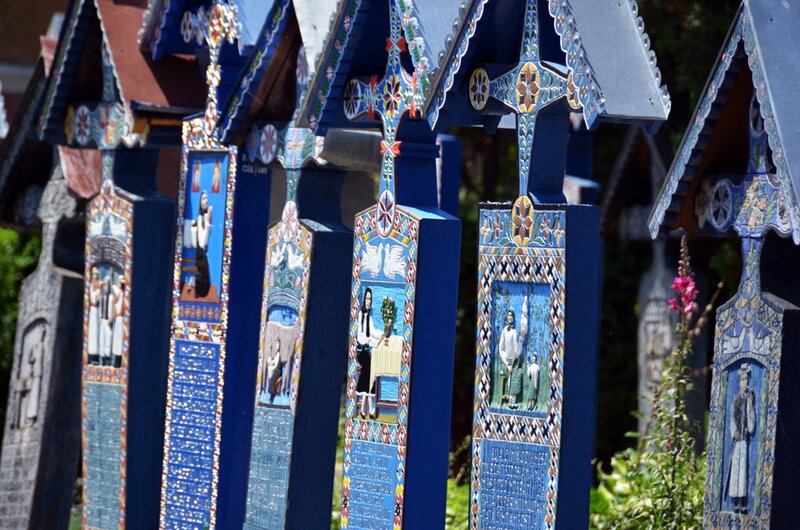 The Merry Cemetery is famous for its colourful painted tombstones describing the people buried there, along with scenes from their lives. 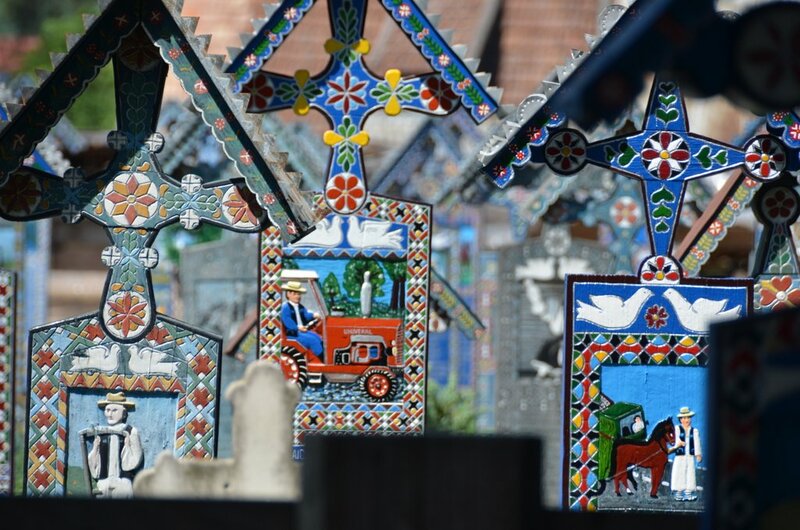 The unusual feature of this cemetery is that it diverges from the prevalent view, culturally shared within European societies, of death as something indelibly solemn. Connections with the local Dacian culture have been made, a culture whose philosophical tenets vouched for the immortality of the soul and the belief that death was a moment filled with joy and anticipation for a better life. This is true at funerals in Breb, which are seen as celebrations of a life.